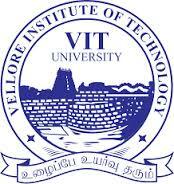 VITEEE 2017 Syllabus: The Vellore Institute of Technology, Tamilnadu was recently released new examination pattern of VITEEE 2017. The candidates who are all want to get admission in engineering courses at VIT, have to attend the VITEEE. After applied, you must have to know the examination pattern which is available in the VITEEE Syllabus. For further recent updates, stay tuned with our examlevel site. VIT Engineering Entrace Exam is conducted for an eligible candidates to get admission in engineering courses (BE/ BTech and etc) at VIT. In this webpage, we provides the syllabus of VITEEE 2017 as subject wise such as Physics, Chemistry, Biology, Mathematics and English. It will help you to know the clear information about VITEE exam pattern and topics which is asked in the VITEEE question paper. The VITEEE 2017 question paper have MCB questions. The examination will be held on 2 & half hours and it contains 125 question with 4 sections such as Physics, Chemistry, Biology and English. Each section will have 40 questions in it, but in English it holds only 4 questions. The total number of questions will be 125 and each carry 1 marks. For every correct response, 1 mark will be awarded and No-Negative Marks for wrong response in Physics, English, Chemistry and Biology, Mathematics. Here, we provides the VITEEE 2017 syllabus as subject wise namely Physics, Biology, Chemistry, Mathematics and English. All these subjects cover various topics which are given below separately. The aspirants are advised to check subject wise VITEEE 2017 syllabus and download it from the under given link. By clicking the above subject wise topic, you can know the VITEEE 2017 syllabus. With the help of VITEEE Syllabus 2017, you can know the examination pattern of VIT engineering entrance exam, marks for each question, time duration and etc. Questions starting from 121 to 125 in the VITEEE question paper will contain questions from English subject. Question numbers starting from 121 to 123 are comprehension questions. They are based on short passages (30-50 words)/ lines of poems (2-3)/ dialogue (2 exchanges). Question number 124 & 125 are based on English Grammar and Pronunciation. The candidates should read the questions carefully and follow the instruction. VISIT HERE to download the subject-wise VIT Engineering Entrance Exam 2017 syllabus & exam pattern. Vellore, Tamil Nadu - 632 014.